As any Canadian is aware, 2017 marks a special year as it’s the 150th birthday of our country—celebrations of all shapes and sizes have been taking place across the nation. Canada’s 150th anniversary is also an appropriate time to ask ourselves, what does Canada represent and what comes to mind when we think of Canada? While what follows is by no means an exhaustive list, here are a few books that highlight all Canada has to offer. For anyone seeking a refresher on our nation’s history, A Little History of Canada from Oxford University Press is perfect, and it makes a great gift too! And for something more intimate and personal, Lee Maracle’s series of prose essays in My Conversations with Canadians examines key issues taking centre stage in conversations across the country, from reconciliation and prejudice to citizenship and segregation. Of course, any list that focuses on Canada would be lacking without something from the CBC—and thankfully that isn’t the case, as What’s Your Story/Raconte Ton Histoire: A Canadian 2017 Yearbook (complete with profiles of Canadians and stunning photographs from every part of the country) is set to hit bookstores later this fall. Since Canada 150 is also in large part about our nation’s future and recognising the opportunities for growth and positive change, there’s a strong need for books like Surviving Canada: Indigenous Peoples Celebrate 150 years of Betrayal, which sheds light on the experience of Indigenous peoples and their place within Canada. 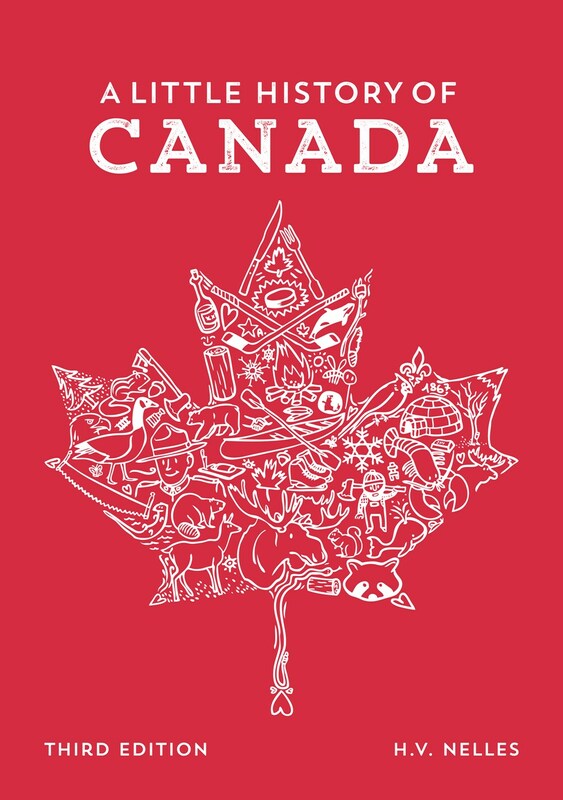 Kids can join all the fun and celebrations too with Canada Year by Year and A Canadian Year—and for something entirely different, who wouldn’t want their own Canadian Passport Notebook! (disclaimer: not a legal document—owning this does not actually make you a Canadian citizen, although we admire your aspiration to be one of us). Of course, Canada is a vast land with cities and landscapes so diverse that even the most seasoned traveller could use some help navigating the sights—starting out on the west coast, the British Columbia Nature Set is an excellent guide for the lover of the great outdoors. We’d also be remiss to mention Canada’s favourite national pastime—luckily, whether your allegiances lie with the Edmonton Oilers or the Toronto Maple Leafs, we’ve got you covered. And speaking of Toronto, Toronto: The Monocle Travel Guide Series is perfect for the person who enjoys big city life, but for those of us more inclined to the tranquillity of nature, An Enduring Wilderness: Toronto’s Natural Parklands should do the trick. Moving east, Montreal takes centre stage in The Carpenter From Montreal, an exciting new crime noir novel—and after reading that, exploring Montreal’s past and present in Montréal Then and Now will really make you feel like a Quebecer. Last but certainly not least, the majesty of Canada’s east coast is on full display in Moon Atlantic Canada, featuring in-depth travel advice and tips across Nova Scotia, New Brunswick, Prince Edward Island, Newfoundland & Labrador, and which has something that’s sure to appeal to every kind of traveller.